The highlight of a recent trip to Athens was a visit to the National Museum of Archaeology. 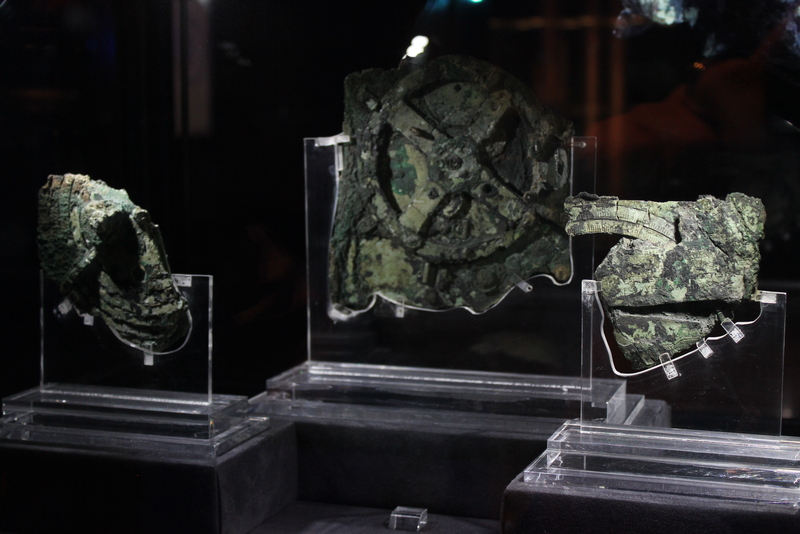 The museum had a special gallery for the finds from the Antikythera shipwreck, a boat carrying luxury goods from around 75–50 BC which was wrecked in a storm. It was discovered in 1900 by sponge divers. 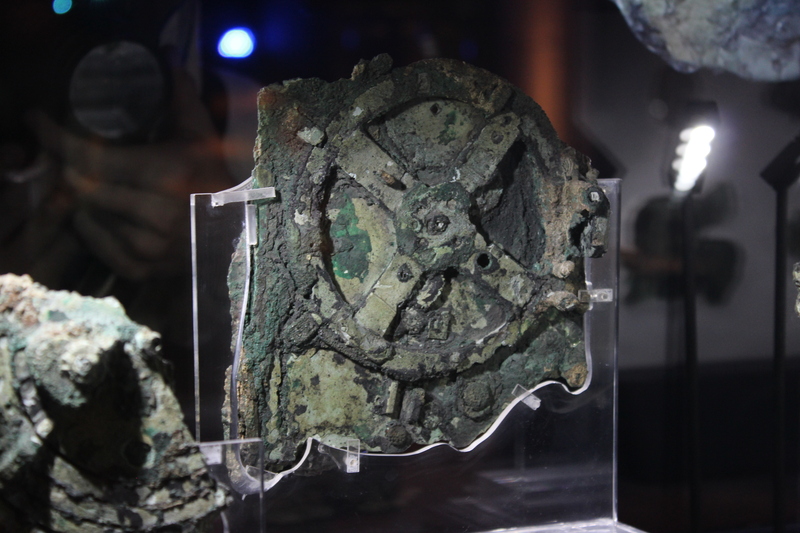 The highlight of the exhibition however is the Antikythera mechanism, the so-called 2000-year-old computer. It is designed to calculate astronomical positions. The construction has been dated to the early 1st century BC. Technological artefacts approaching its complexity and workmanship did not appear again until the 14th century AD, when mechanical astronomical clocks began to be built in Western Europe. The mechanism could track the movement of the Moon, Mercury, Venus, the Sun, Mars, Jupiter and Saturn. It could also track when stars would rise and set and compared different calendars such as the Egyptian Sothic year. Another of the dials showed which of the Pan-Hellenic games were being held next, as they rotated on a four year cycle. The Olympiad Dial is divided into four sectors, each of which is inscribed with a year number and the name of two Panhellenic Games: the “crown” games of Isthmia, Olympia, Nemea, and Pythia; and two lesser gamesat Naa and another which has not yet been deciphered. There are many inscriptions all over the mechanism, some of which explain what the dials refer to, others which give instructions for how to operate it. Its complexity makes people think it wasn’t was one-off but a practised art, and it’s compact size and wood casing meant it could have been easily transported and operated by a lay-person. It has 30 separate gears and would have been operated using a hand crank. 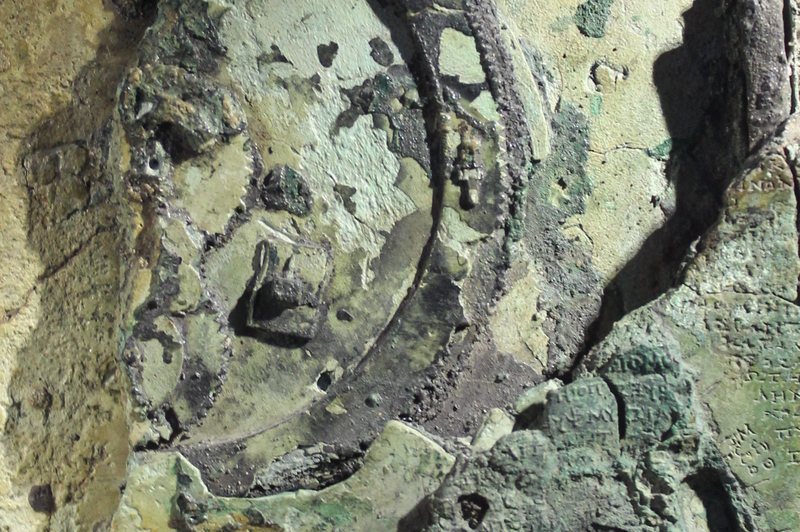 The wreck is famous for the Antikythera mechanism but also contained fine tableware, pottery, sculptures of bronze and marble from Rhodes, Delos, Pergamon, Egypt, Antioch and the Syrian-Palestinian coast. 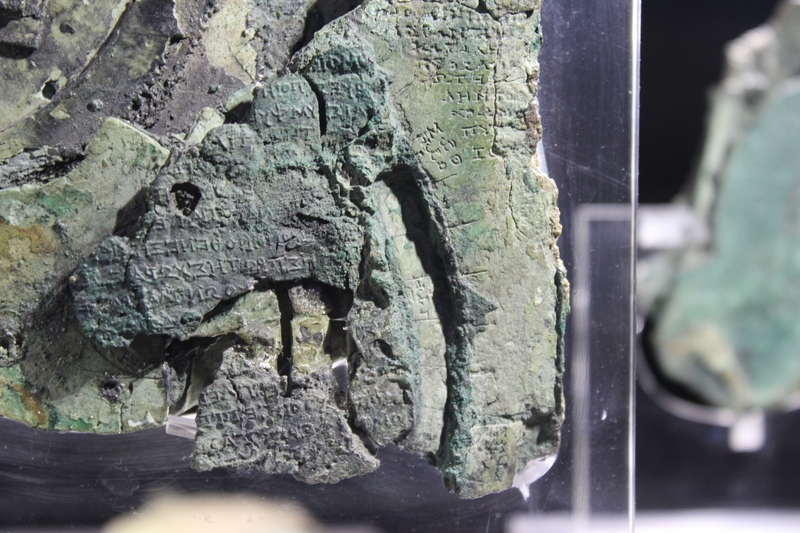 I’ll make the other treasures from the Antikythera Wreck in another post! 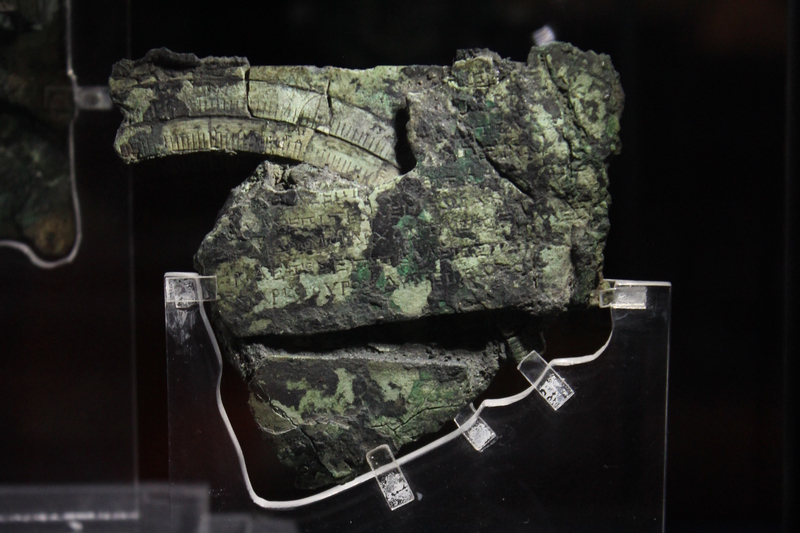 The Antikythera Mechanism is a fantastic discovery and one of my favourite subjects. Your post explains it so well..